The Grimaldi Group has received the ‘Naval Award of the Year’ at the fourth edition of the North American Automotive Awards, which have been held in the US city of Detroit, Michigan. 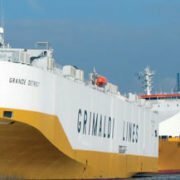 The Italian shipping company has become one of the main providers of integrated maritime transport logistics services for vehicle manufacturers. This award, given annually by the Three6Zero Group, aims to recognize global excellence in the supply chain of the automotive sector. In total, 21 companies and professionals have been awarded for their achievements in the sector or for the development of new ways of thinking and working. With 70 years of experience, the Italian shipping company, based in Naples, has become one of the main providers of integrated maritime transport logistics services for vehicle manufacturers. 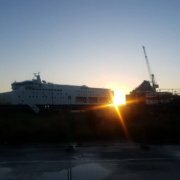 Currently, it offers various maritime services both for ro-ro cargo and for the transport of containers to North American destinations. Its Grimaldi Lines brand operates regular connections from the eastern and western Mediterranean, and also from the coasts of West Africa, while its brand Atlantic Container Line, ACL, covers a weekly route that passes through several ports of northern Europe before reaching the American continent.